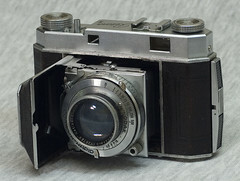 The Retina II is a series of four folding 35 mm rangefinder cameras made in Germany by Kodak AG during the periods 1936-1939 and 1946-1950. 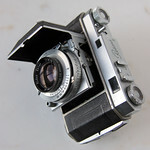 Unlike some of the Retina III cameras, none of the Retina II models has a lightmeter. 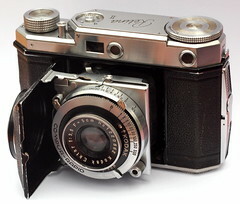 Retina II, type 122, Compur-Rapid, Schneider Xenon 5cm f/2.8. 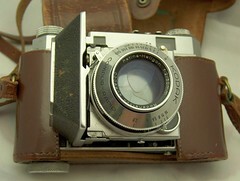 Some collectors consider that this model is more reliable than the later lever-wind Retina IIa, which utilized a cocking rack that is prone to breakage. This page was last edited on 19 April 2018, at 05:24.